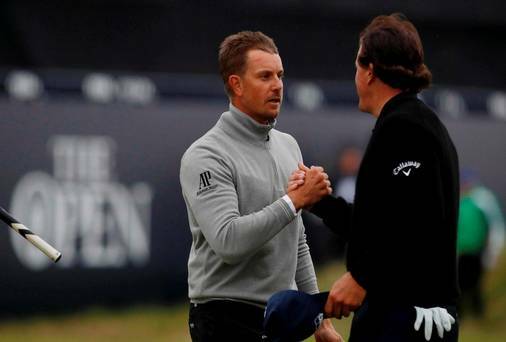 What Can Golfers Learn from Stenson and Mickelson at The Open? The third major of 2016, The Open, is in the record books with an inspiring win from Henrik Stenson. Phil Mickelson, pushing with every fiber of his being to have his first win in three years, could not close the deal but certainly helped to make this tournament compelling for fans around the globe. There are lessons to be learned from every thing we do in life - some times we are watching and other times we are in the mix. Through four days at The Open we have not only seen incredible golf but, if we look even further, we can take away ideas which can help us during our own round of golf. 1. The importance of not giving up and believing that you can win. Henrik Stenson said, in his Sunday post-round interview, "I've been so focused this week and on this day in particular. "I felt it was my time. I believed it was my time." 2. You may not win but you can still play "pretty good golf". Phil Mickelson shot a 6-under 65 in his best final round performance ever in a major championship but it still wasn't enough to take the Claret Jug away from Henrik Stenson. You can play a great round (or several as is in this case) and still get beaten...remember, it's not if you win or lose but how you play the game. 3. Age doesn't matter if you're a regular on the golf course. The top two contenders on Sunday were both over forty and left the rest of the field in the dust. The number one and two golfers in the world, Jason Day and Dustin Johnson, could not touch the games of Stenson and Mickelson this week, hovering at +1 and -2 respectively. View The Open Final Round Leaderboard. 4. Be gracious in defeat. Consider the good shots you hit during your round and make sure to congratulate and shake hands with your mates, no matter what the outcome! Golf is a game of etiquette; let's not lose that spirit. What did you learn from watching The Open? Comments welcome below in our Golf for Beginners blog and tag us on Twitter @Golf4Beginners. Check Out Our Latest Article: 2016 Olympics in Golf - For Whom Does Patriotism Trump Zika?